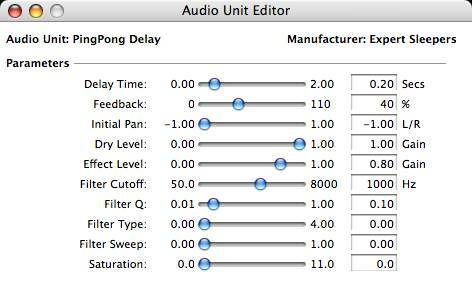 A simple stereo ping pong delay plugin. I wrote this primarily as an exercise in learning about writing AUs. Read Ping Pong Delay news articles on the Expert Sleepers blog.